The Government’s reaction to the recurring problems was to privatise the industry, but this process has now come under heavy fire even though it is less than year since it happened. As for the immediate problem, Minister for Water Development Edward Lowassa explained: “The pipes are 30 years old; they have a lifespan of only 25 years so they are already out of date….they may not be able to withstand the intense pressure created by newly installed pumps.” The Minister announced that he had given the go ahead for a Shs13 billion two-year project to lay new pipes to cope with the increased pressure from the pumps. The African Development Bank, World Bank and the European Investment Bank were financing the project through a loan to the Government. 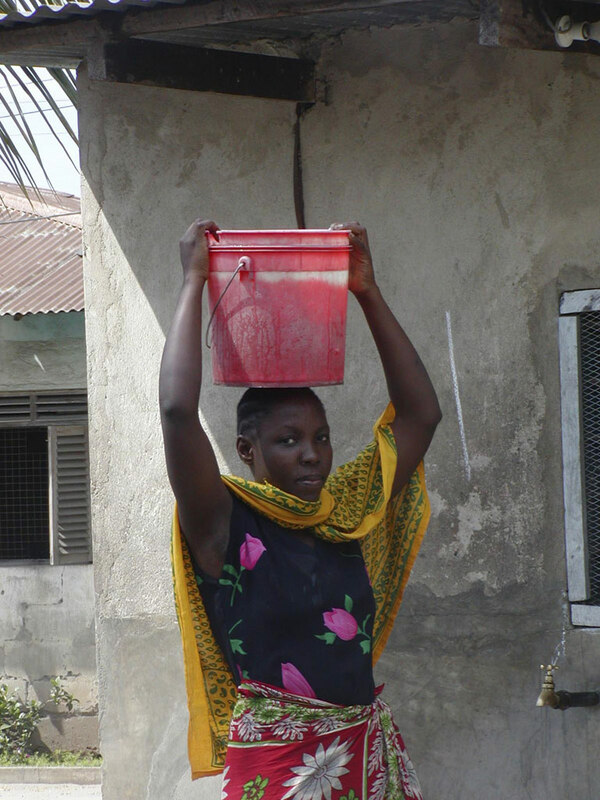 City Water, the Tanzanian firm created to manage the water supply and, in particular, the foreign firms engaged in assisting it, recently came under heavy fire in a report by British aid organisation ActionAid dated September 27th. This accused Biwater, a British water corporation (created originally in 1989 to participate in Margaret Thatcher’s controversial privatisation of the UK’s regional water authorities) of mismanaging the scheme. The ActionAid report received widespread international publicity. The London Guardian, in a feature article headed ‘Pipes run dry in Tanzania’, (Thank you Fiona Scott and Elsbeth Court for sending us the extract – Editor) gave a fairly balanced view in which it first quoted critics as saying that the city’s water service remained patchy and tariffs had risen while Tanzania had been saddled with yet more foreign debt. It quoted the report as saying that poorer households were having to shift towards unsafe water sources with serious consequences for the health of their families. The paper added however that even critics of water privatisation accepted that the system had to change. Before privatisation only 98,000 homes in a city of 2.5 million had a direct water connection and 60% of the water was being lost through leaks. According to City Water, tariffs have increased by 11%, but WaterAid, in another report, said that they had increased by 40%. ‘From the beginning, it was clear that the poor, unconnected settlements of Dar es Salaam were marginal to whatever process was being considered and implemented. 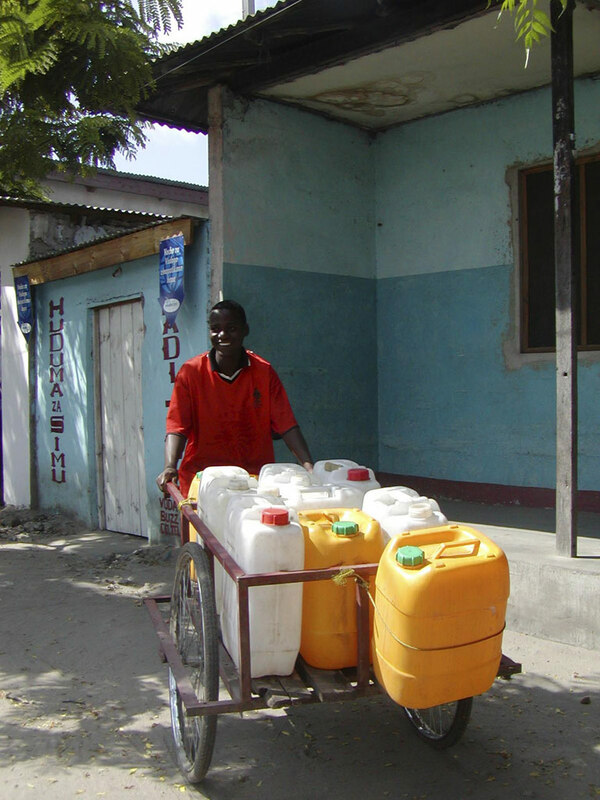 Under a new Community Water Supply and Sanitation Project , NGOs, including WaterAid, Care and Plan International, will be subcontracted to carry out water projects in low income areas which are unlikely to be served by the piped network for some time. working at the treatment plants. Very real improvements would be noticed over the next 2 years. Professor Gelase Mutahaba, Senior Advisor in President Mkapa’s Office, when he addressed the Annual Meeting of the Britain Tanzania Society in October, was highly critical of the ActionAid report. He pointed out that the expansion of the city and a prolonged lack of maintenance while the system was under government control, made a rapid overhaul of the whole system essential. His personal experience was that last year there had been hardly any supply to his house. Now he was getting water three times a week. The private sector was best equipped to undertake the major overhaul needed. He felt that ActionAid had failed to take account of the complexity of the issues. In response to a concern expressed at the meeting about the dominance of the major donors, particularly the World Bank, he said that the Government had taken the initiative in the past few years in defining Tanzania’s assistance strategy and this had not been subject to the perceived priorities of donors. A genuine partnership had been built up.